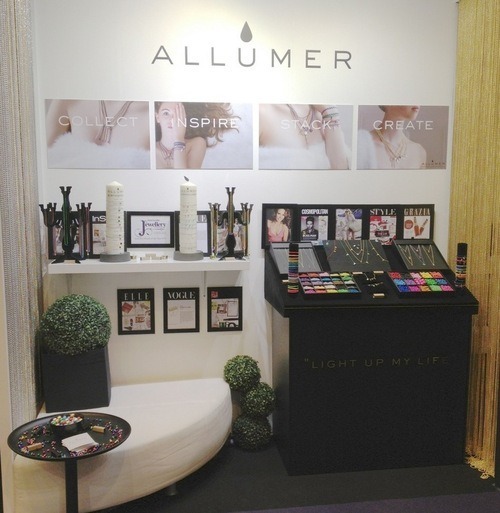 From the 1st to the 4th September 2013 Allumer had a fantastic, jam-packed four days exhibiting at International Jewellery London 2013. 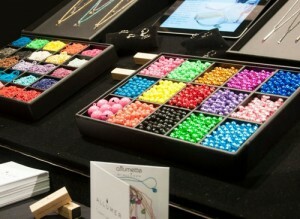 Held at the iconic Earls Court there was an impressive selection of exhibitors, jewellery and eager visitors. Situated in the prime location of stand A1 you couldn’t fail to miss our outstanding display, which really showcased our fabulous array of colour, design and show stopping pieces. We were kept extremely busy with a huge number of visitors and buyers keen to check out our extensive range. Our sweet shop inspired layout was a roaring success allowing the visitors to mix and match the jewellery to their personal style at the stand. All in all it was a remarkable success and we look forward to the next show.